I found this gondola on @Steinkopf Dave Stannard´s Flickr. The tank car is basically a MOD of the tank car from 7939. 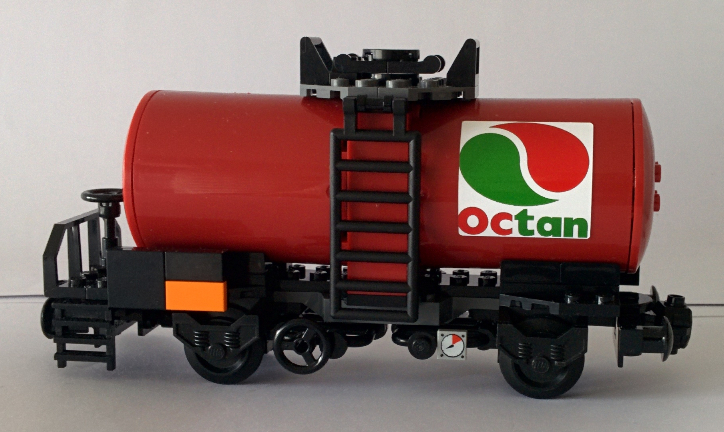 I really like that tanker car, with the exception of the wheel spacing. Kinda on the far side for me, b/c I like to have multiples in long consists....! These are pretty nice, I quite like short wagons that can be shunted around. I also appreciate the level of detail; there's enough that they're both interesting, but not so much that they're fragile or expensive. 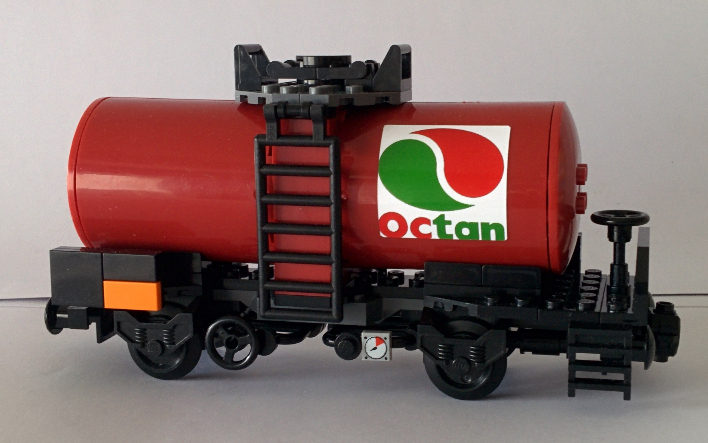 The only issue I have is that the platform on the end of the tanker makes it look unbalanced; perhaps just a 2x6 plate placed similarly on the other end, even without railing/ladders/wheel etc, would help. Or, of course, just add another identical brake wheel arrangement, but I think that's less prototypical. These cars are nice. I think the tank car is fine. I'm sure in reality it's more important to have the weight of the tank balanced between the axles than to have the axles placed symmetrically between the buffers. I too like the tank car. Is that dark orange? 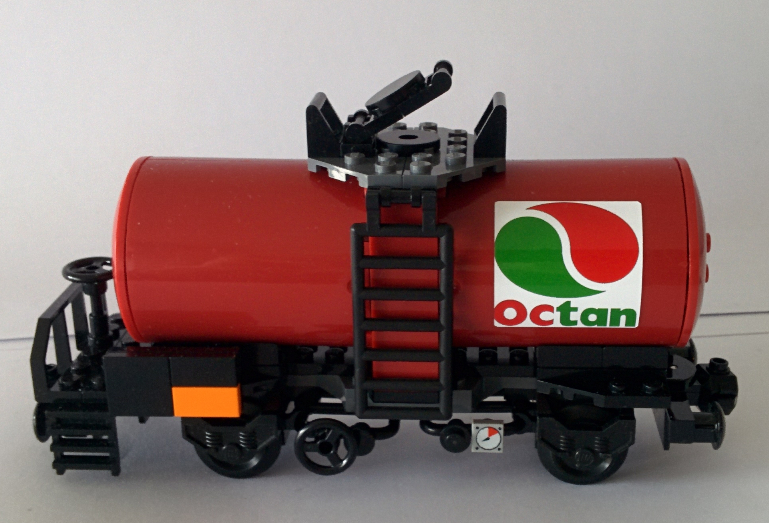 I have dark orange parts coming to build three custom tank cars, mine though will have two trucks on each end. 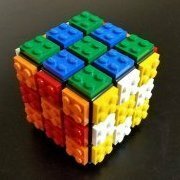 Very nice design with functional play bits. Since the distance to the couplers are different, would there be different forces acting on the front wheel versus the rear wheels in a curve? Seems like a good week for freight stock. I do like these little wagons. 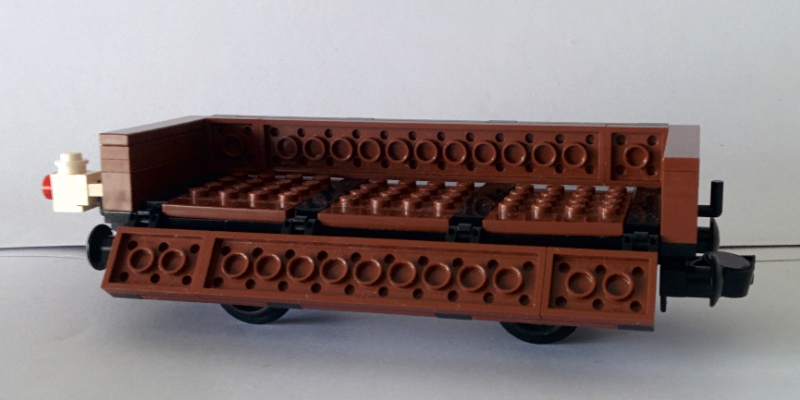 The two-plank dropside wagon (I believe "gondola" is a peculiarly American term) is very sweet. I can just imagine a gang of men shovelling ballast by hand over the side to their colleagues on the track ready for some old school manual lifting and packing. The extra details on the tank wagon are excellent, although I'm not sure about the brake platform, and not just because of the balance issue. It's simply that I'm not sure that European tank wagons such as this ever had such platforms (although I'm happy to be corrected). Certainly this wasn't the case in the UK where the wagon handbrake would be operated by a lever at the side of each car. Rather than providing a nice platform to ride on, the shunter was expected to jog alongside wagons being loose shunted and apply the handbrake with a stout pole called a brake stick. Or perhaps I shouldn't be such a pedant and just enjoy these little wagons for what they are.